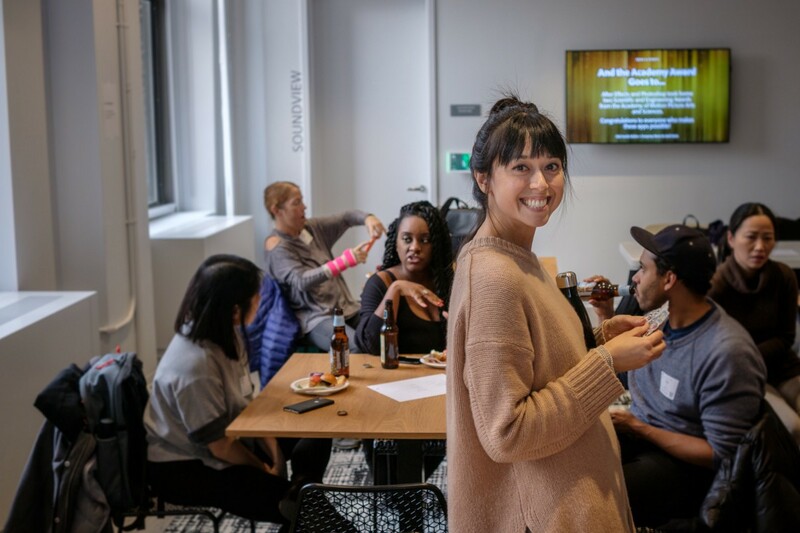 On Monday, Adobe’s Pollyanna Macchiano organized an event for New York-based NEW INC’s group of cultural practitioners and creative entrepreneurs to experience Adobe XD, our application for UX designers. 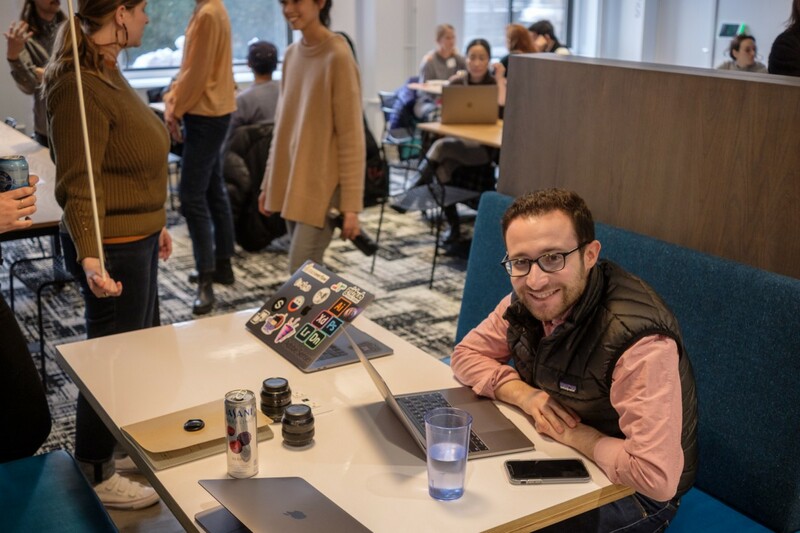 NEW INC occupies eight thousand square feet of dedicated office, workshop, social, and presentation space, and each year selects an outstanding interdisciplinary community of one hundred members who are investigating new ideas and developing sustainable practices. 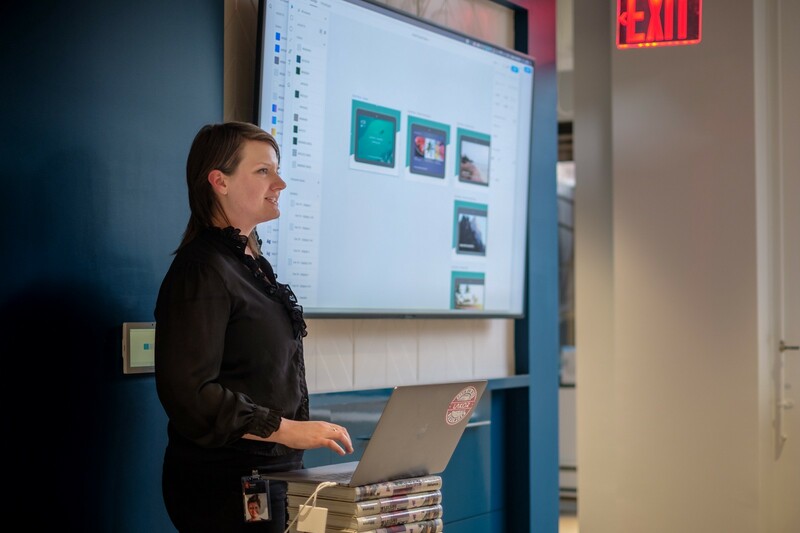 We invited NEW INC members to our offices in NYC and introduced them to designing with Adobe XD, as well as extending XD’s feature set with plugins. Susse Sonderby kicked off the event by introducing everyone to Adobe XD. She covered a number of the newest features in the app, including responsive resizing, voice prototyping, and auto-animate. 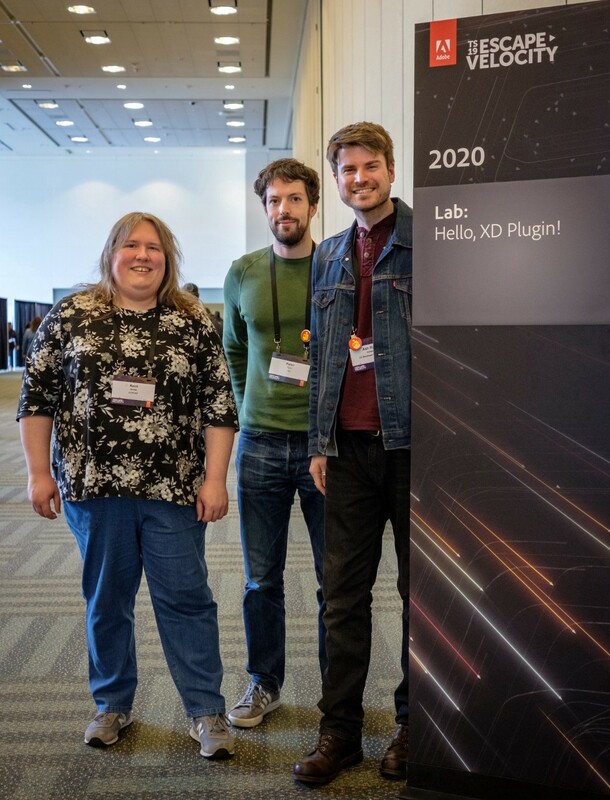 Susse joined Adobe as part of the Sayspring acquisition in 2018, and has played a big role in bringing voice prototyping to Adobe XD, a first-of-its-kind feature in the industry. Her final demo for Monday’s event brought XD’s voice prototyping and auto-animate features together in an experience design mockup for a voice assistant, like Google Home. Her example prototype let the viewer speak questions to the XD prototype and receive a spoken response back from XD, along with realistic animations in the on-screen device. I followed Susse’s overview of the application with an introduction to XD plugins from the user perspective. XD plugins make it possible for creatives and developers to automate work, import data, publish to web services, collaborate with stakeholders, and more. 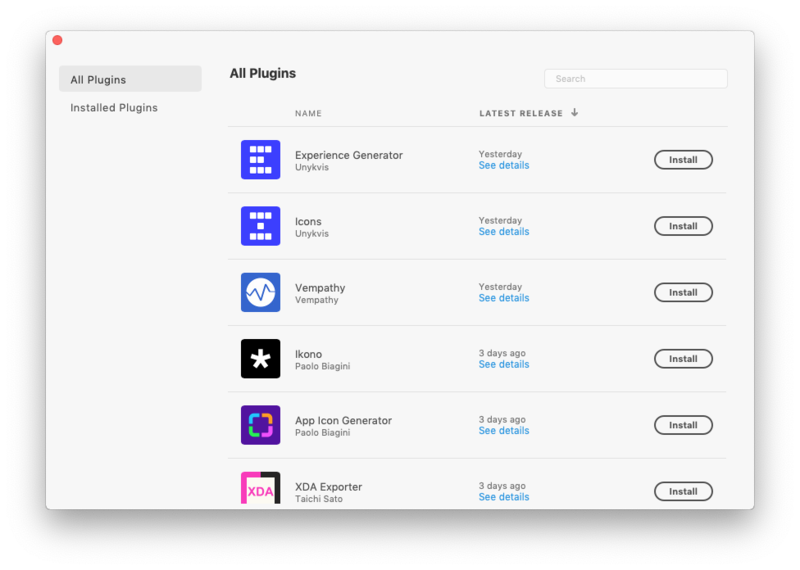 For users, getting started with plugins is as simple as going to XD’s Plugins menu and selecting Discover Plugins…. This opens the XD Plugin Manager where you can browse and search for plugins like UI Faces, Confetti, Stark, and many more. From there, we jumped into the developer side of things. In the next section, I’ll talk you through the API topics we covered and point you to some resources so you can get started building your own XD plugins. We offer a Quick Start tutorial if you want to write your code from scratch. If you prefer to skip writing the basic boilerplate yourself, create an XD plugin on the Adobe I/O Console and we’ll provide you with a downloadable starter project, customized with your plugin’s name and ID. Remember that any plugins you build are private by default, so feel free to experiment with the APIs. We’ve got a big library of sample code on GitHub and documentation to help you along. When your plugin is complete, if you want to share it, have a look at our distribution options guide. You can share it with just your team or with XD users worldwide; it’s up to you! Lastly, if you’ve got big ideas for building the future of design, you might consider applying to the Adobe Fund for Design. 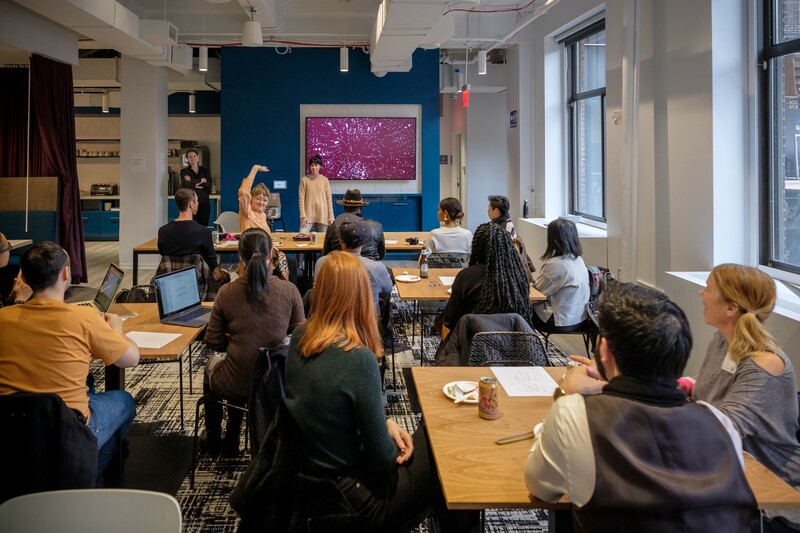 This $10 million fund provides equity investments and grants to people and companies who want to push boundaries and help shape the future of design and creativity. XD plugin events near you? Do you have an event you’d like us to join, or a team that wants an expert-lead workshop on building an XD plugin? Feel free to reach out to me on Twitter to discuss, or ask in the comments below.